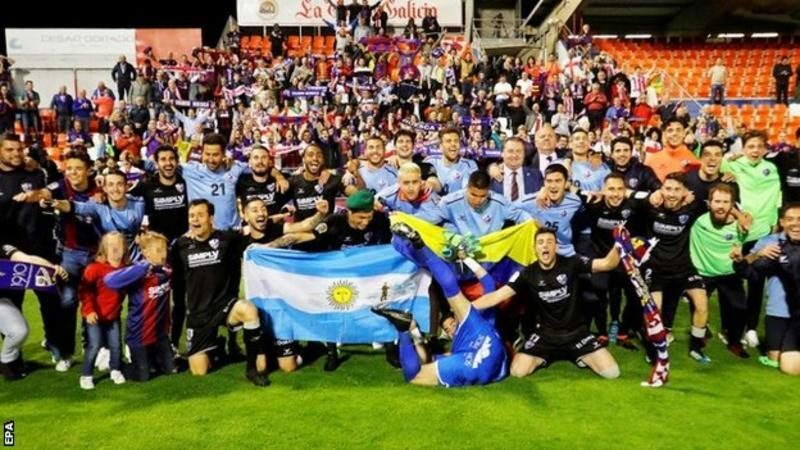 Huesca have been promoted to La Liga for the first time in their history. Formed by Barcelona fans in 1910, they are only the second team from the Aragon region to reach Spain’s top flight, following Real Zaragoza. The club – whose Estadio El Alcoraz ground holds 5,500 – beat Lugo 2-0 to go up from the Segunda Division with two games to spare. Huesca, who were in the third division in 2014-15, are managed by former Barcelona assistant Rubi. The town is about 170 miles to the west of Barcelona in north-eastern Spain.